For a brief moment this week it started to feel like Fall. The triple digit heat finally let up and we even had some rain…shocking, I know. 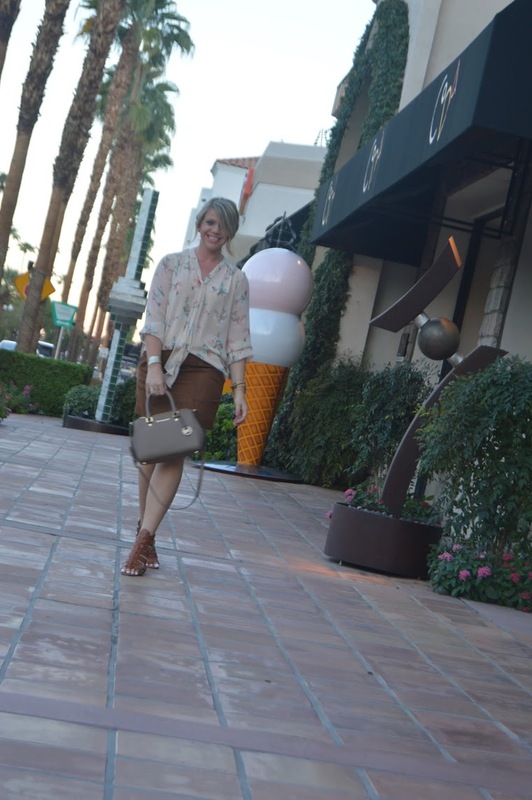 Since that little vacation from our Indian Summer hasn’t lasted too long I have been all about finding ways to incorporate a few Autumn pieces into my desert wardrobe. This floral top screams Spring/Summer when paired with bright whites and pastels but is easily transitioned to Fall paired with a faux suede skirt and cognac wedges. Voila! Now all I need is a Pumpkin Chai and the season can begin!